HAVING WRITTEN A full length manuscript and awaiting beta feedback, there’s a real emptiness as an almost-writer. I thought I’d be overjoyed at finishing a solid piece of work, but apart from occassional back slaps to myself in moments of reflection (no mirror involved), until I send the manuscript into a literary agent’s inbox, I won’t be satisfied, and even then I know I might face a lot of rejection until finding an agent who wants to work with me. If you want to be published in print a literary agent is essential. First off the ‘bad’ news; they take 15% of earnings, but they deal with contracts home and abroad, they have industry contacts and knowledge of how it all works. By having a stake in you they have a vested interest in getting the best deal possible from a publisher. From what I can gather, you need one! But you lose 15% or more through Kindle also, an important thing to keep in mind. Before even getting a lit agent, you need to have a polished query letter (YAY! more writing!). And a tightly written synopsis; Jane Friedman has a plethora of great articles to help in that department and much more besides. The query letter briefly outlines who you are and why your story is worth publishing. A synopsis goes in depth to reveal the range of your story, but once you have a good synopsis it becomes your template. At first they seem quite daunting, yet another hoop to jump through, but nobody said this writing malarkey was easy (Actually I did, but not in reference to publishing). Once a lit agent is on board the Lion Express, there is no guarantee that any of the stops we make will be with a reputable publisher, meaning the journey will likely be arduous and unpredictably long depending on our fortune. Getting a publisher to join allegiance will be a fantastic acheivement, but may take months to happen. So on the back of four months hard graft, there are many more months to go until I see my book in print. With a better knowledge of publishing I really see the appeal of self-publishing. You control your own destiny. If my first book was different, I might well have just gone through Kindle, the process is so much more streamlined in comparison. Publishing: One step at a time. Thanks for the follow! I’m also knee deep in Jane Friedman’s advice on query letters and synopsis writing. She’s great. Love the cartoon – that’s so true, and one of the reasons I’m an independent. Check out this great post on the publishing process. Interesting viewpoint on traditional publishing. Keynote: A literary agent is vital. Lion, I don’t know if you have done this, but before you start seeking an agent, I would hire a professional editor for your manuscript. I had two beta readers, and did numerous revisions and edits, and was amazed at all the things an editor found needing attention in my manuscript. They are not cheap (though I have one who cost half the price of most) but if you want to give your manuscript the best possible chance of being picked up, you need a professional edit. I would even advise self-publishers to hire an editor. Thanks Mary, it’s something I will consider depending on finances. I’ve edited four times and fives times once I recive beta feedback. Grammatically I am very happy with it and there are a few tweaks left to do, so it will depend on if I have the dough and if I think it needs it. How much did your editing cost if you dn’t mind me asking? Less than $500.00. Dave charges $5.00 per 1,000 words, which is well below what I researched going rates are on the web. My grammar was fine in my manuscript. What Dave found was a lot of unnecessary words, some things that needed rewording or clarification, a lot of small stuff even my beta readers overlooked, but when added together, was quite a lot. He does an in depth edit, explains a lot of the whys on suggested changes. Seeing the things he would change and how, improved my writing on other projects as well. I’m currently working through his edit, and will send it back once I have finished for a quick run through. Btw, I met Dave through WordPress. Sounds good. Out of my price range in the foreseeable future. Keep in mind, a lot of editors offer installment plans. Exactly what I have been thinking. I think, at least in Canada and with smaller publishers, it is possible to get published without an agent. Having an agent certainly makes some things easier! Yeah, according to The Writer’s Union of Canada, approximately 80% of published Canadian writers don’t have literary agents representing them. I found this very surprising. Interesting! I wonder what percentage are selfpub? Thats a huge skew. Yeah, I wonder that myself too. I used to think having a literary agent was a must in Canada. Know exactly how you feel. It took me two and a half years to write my book, and now revising feels like wading through treacle. I dont know whether to self publish or look for an agent. I haven’t really got time to market a book properly, but I know I could spend a year trying to get an agent or an indie publisher interested and be no better off. Its a mega tough call. I’d say try and get an agent first, then you have the selfpub to fall back on if that doesnt happen for some reason. And revising can be pretty brutal, I feel you on that one, I felt that writing a book was tough, but the editing is the real barsteward. A pleasure. That quote from Tolstoy is fantastic. Yeah, one of my favourites! Good advice 🙂 Well i’m editing my second book in the meantime, so at least I have something to keep me busy, plus a few other projects, trying to keep the gasket in one piece! I’m not sure why you feel you must have an agent. Millions of people self publish through Create Space, Book Baby and other venues with success. A lot of it depends on how active you are with your own marketing after it is out there. Most agents only accept a few books a year and usually take ages to even get to read the book and then ages to get it published. You have to be ready to wait it out. Now on the other hand, if your book is good and a good agent picks it up, you have their support, advice and backing. In fact, they will probably get a publishing company to publish and market the book, with your help of course. You won’t be out there alone. I chose to self publish my first book, as I felt it only had a narrow appeal. The next one is fiction and I hope it will have a broader market. The thing is, if you self publish, it can still be picked up by a publisher or agent. However you choose to get your book published, I wish you the best of luck and will be eager to see how it goes. Personally, I think you are an extraordinarily talented writer and will do very well either way, because of your talent! If i was going selfpub i wouldnt bother with an agent but in the traditional route its tough to get anywhere even with one, so i’ll see how it all pans out. Writing is a super long journey. I completely understand where you’re coming from here! 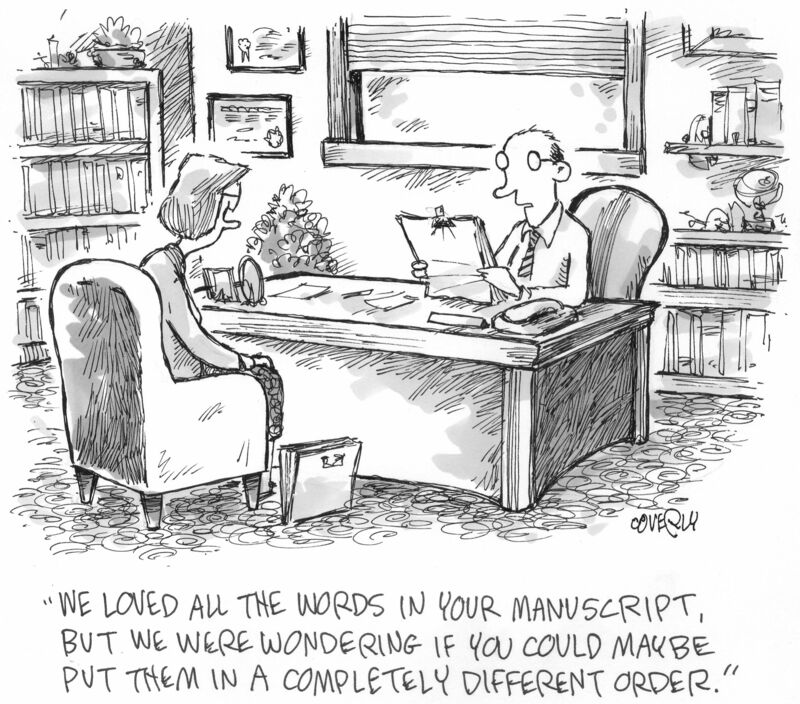 Good luck with the manuscript. It WILL be worth it in the end! Also, Tolstoy couldn’t have been more right. Patience and time indeed. Cheers for dropping by and the solidarity. Yeah that Tolstoy knew a thing or two! Great words of advice Lion. Keep faith, be patient and surely the Lion express will zooooooom!! 🙂 Best wishes!! Great post (& useful too). Sounds as if you’re three quarters of the way there though. Good luck with the last bit, tough though it may be. Writers need a lot of staying power for sure! Cheers. I’m getting there, but it seems like a never ending story sometimes, but I just have to be patient. It’s no sprint thats for sure!